We didn’t realize until our last trips that our suitcase collection had been reduced beyond usefulness. We often give them to relatives and had to throw some away after breaking from age/use. 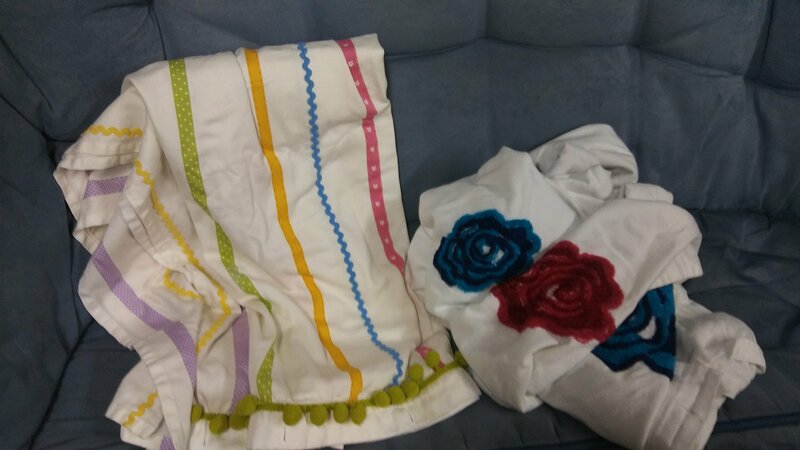 So when we found this 3 piece matching set for $20 at the thrift shop (usually over $100) we bought them right away. 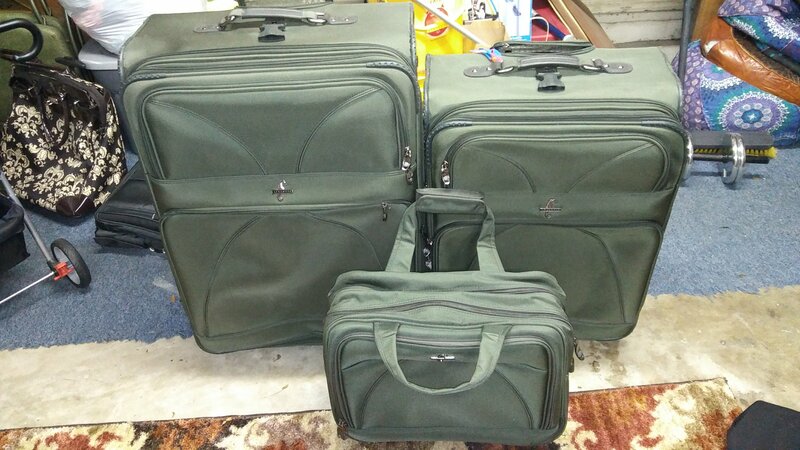 I still need to find a couple of rolling suitcases that will fit in ever shrinking overhead bins on flights. 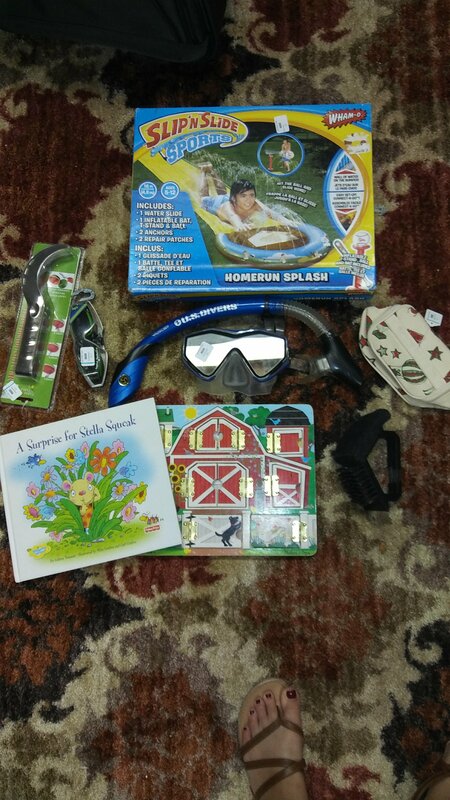 For less than $1 each we also bought some items for our nephews and a $2 NIB Slip and Slide. We couldn’t pass up the U.S. divers mask and snorkel for $2 because on our last cruise if we had owned a set or 2 we would have used them off of some of the islands we visited. 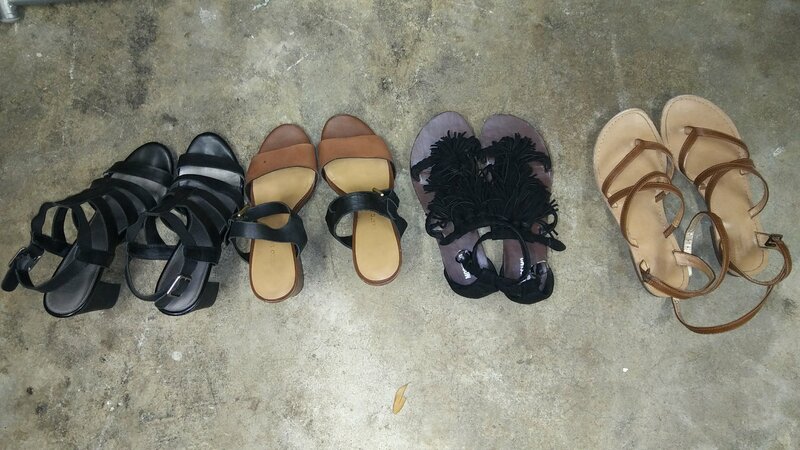 I really needed a new pair of sandals to replace a few that had broken at the end of the summer. Unfortunately, a couple of these pairs didn’t quite fit but a couple did. For $1, I can’t get upset either way but I have learned my lesson that if I’m buying shoes for myself and not to resell I should try them on. Note- I know some people are squeamish about thrifted shoes but I have been wearing them my entire life and have never had any kind of reaction. 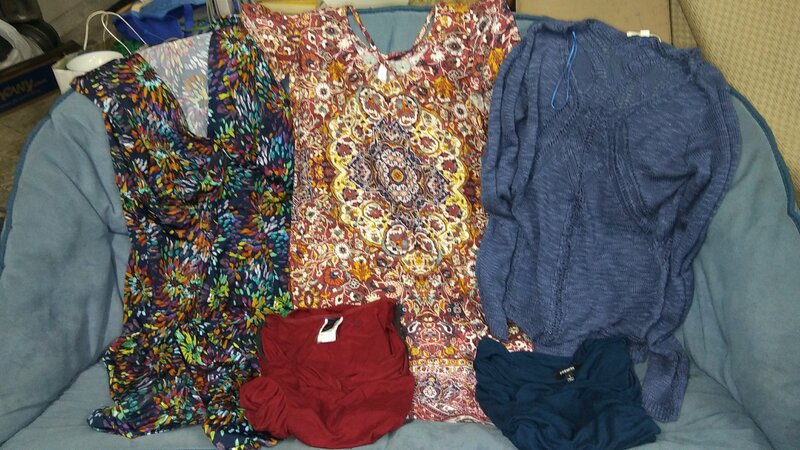 I was pleased with finding some dressed and sweaters for less than $2 each. 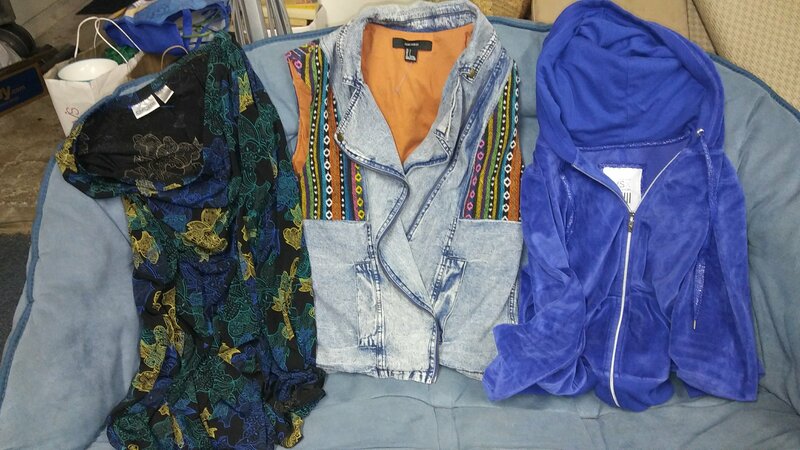 This picture is showing the items I bought to sell on Poshmark and eBay including a Victoria’s Secret hoodie, Chicos skirt and hippie vest. All less than $2 each. 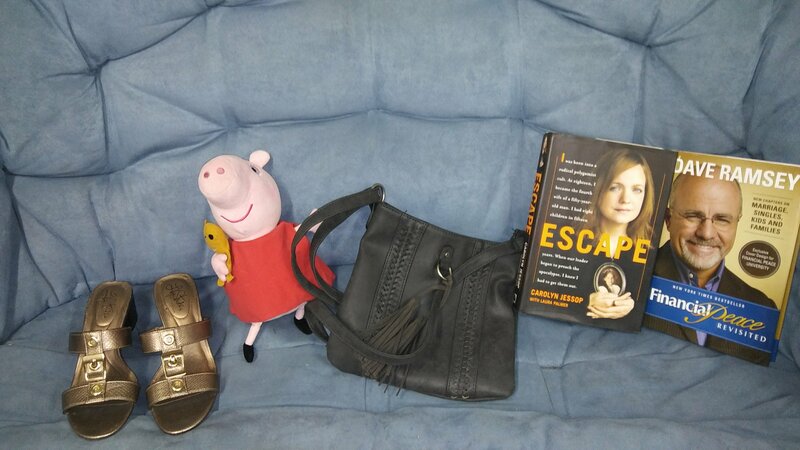 Other small items I bought. 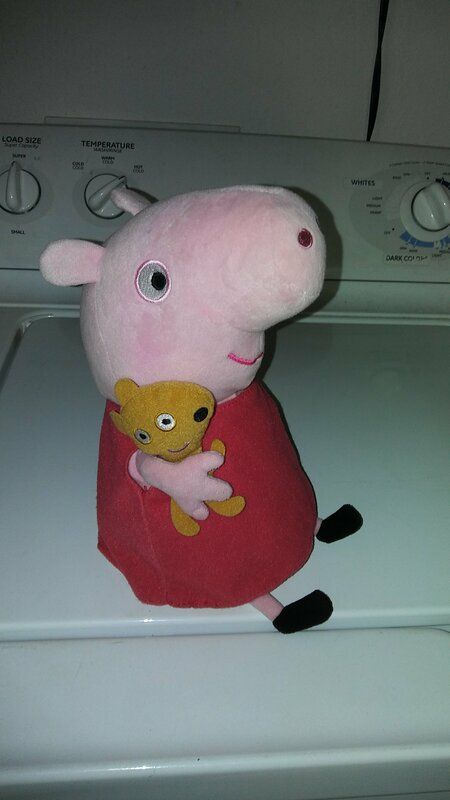 Can’t pass up a less than $1 Peppa Pig for the nephews. 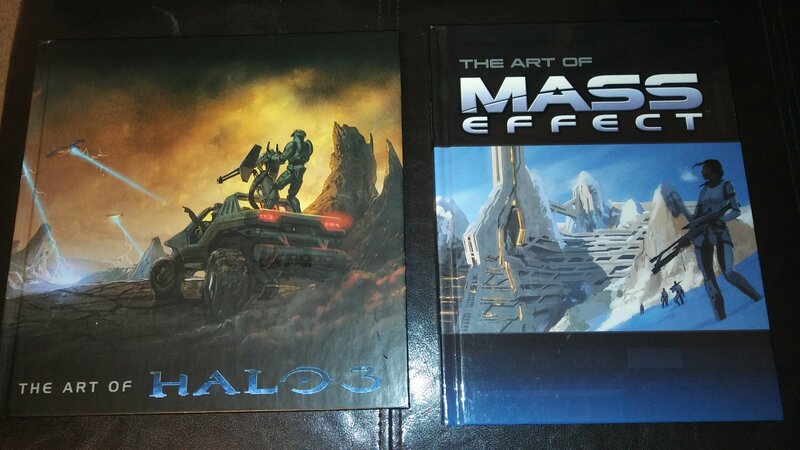 These video game art books caught my eye and I took a moment to look them up and sure enough they sell for decent prices on eBay. Now if only I can find the time to list them. 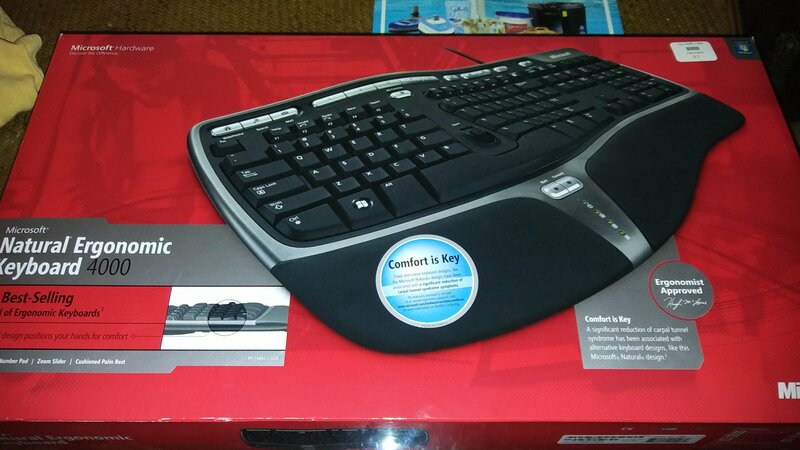 B found this brand new in box keyboard for $2. I also bought these fun shower curtains for my mother for about $1 each.